Hi, I’m Claire, the founder and director of Integrity Skin Clinic in Brisbane. My passion is helping you achieve the best health and look for your skin. I get great satisfaction from seeing the hope and confidence that rejuvenated, healthier skin can provide. 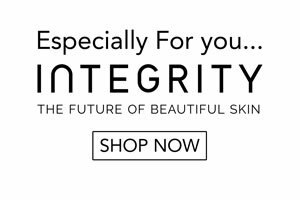 The team of skin treatment professionals at Integrity are all experts in their areas and share my dedication to providing you with a very positive experience – much more than just a skin treatment. Our professional team are respectful, courteous and accommodating at all times. For over 15 years I have been working as a paramedical skin practitioner. As well as qualifications in advanced skin resurfacing and natural pharmacology I also have vast experience in skin tightening procedures, scar revision and treating a wide variety of skin disorders including pigmentation and photo ageing. In addition to running the Integrity Skin Clinic, I tutor practitioners around Queensland in advanced skin treatment technologies such as laser, pulsed light and transdermal delivery systems. Trust is paramount when it comes to skin treatments, and I want you to be confident that when you choose Integrity Skin Clinic you will receive an outstanding level of service and results you will love. That’s why I offer you a complete money back guarantee. That’s right. If you are not 100% satisfied with your services at Integrity Skin Clinic I will happily provide you with a full refund. Contact us today and see why Integrity Skin Clinic is the smart choice for skin treatments in Brisbane. P.S. At Integrity Skin Clinic we also specialise in very complicated cases. So even if you feel like you have tried everything without result I invite you to please come and see what we can do for you.